For Philadelphia native and New York-based DJ, Jasmine Solano, music has always been a driving force in her life. From a young age, Solano's mother raised her on classic soul music with the vibes of James Brown and Otis Redding. As a teenager, she experienced the height of neo-soul music and became heavily influenced by the positive sounds of Jill Scott, Musiq Soulchild, Black Star and Lauryn Hill. With a growing awareness for political issues and society, Solano's passion for music and social impact fueled her into a successful career as an internationally touring DJ. 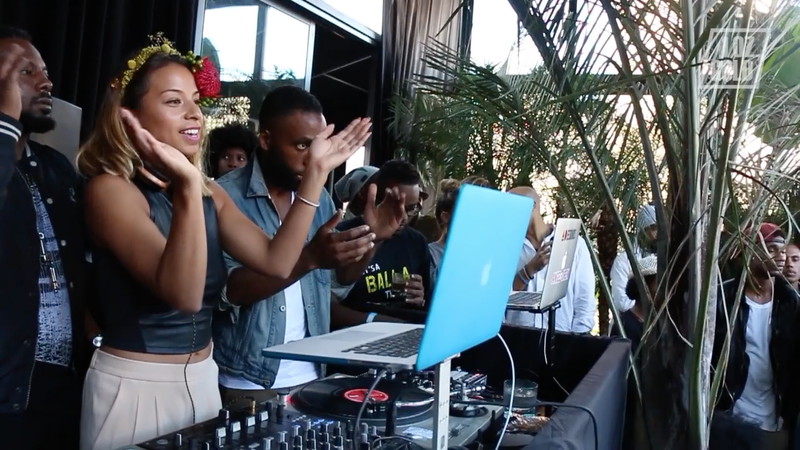 Recent years have revealed a growing trend of female DJs. While advanced technology makes it extremely easy for anyone to start DJing today (without lugging crates of vinyl around), Jasmine Solano is by no means a "pop-up DJ." As an undergrad at Emerson College, Solano created and DJ'ed an award winning radio show which continues to exist even years after she has graduated. 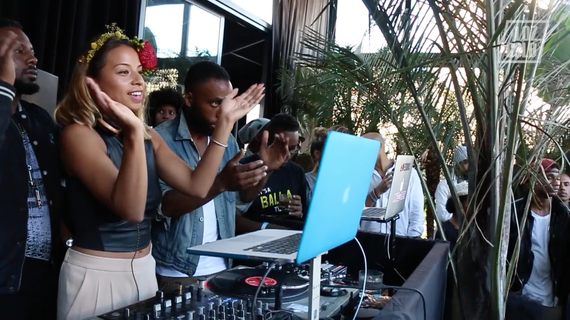 During her early years in New York, Solano talks about DJing as many gigs as she could get (for very little pay) while working a full-time job, in order to get as much experience as possible. I had the honor of filming Jasmine Solano for my documentary web series, Maker's Lane, which features creative entrepreneurs in New York City. In this episode, Solano talks about learning the value of hard work from watching her biracial parents fight against the norm, paying dues in New York City, advice for aspiring entrepreneurs and the challenges of being a female DJ. "You just never want to walk into a room and not be respected for what you do and have anyone even question your authenticity. I'm all for everyone trying to become a DJ, but learn the history of it, take some classes on it, watch some documentaries, watch Scratch... really learn it because there are people who have come before you and killed themselves for years in basements trying to learn to DJ." "You gotta really know yourself. You got to take the moments to sit down with yourself and ask, 'What do I really want in life? What could make me really happy? What do I obsess over all the time? What are my passions?' Those are the things you really got to think about and take everything else with a grain of salt. You have to find your way between being authentic, knowing how to play the game, knowing how marketing works, and also making a name for yourself and a reputation that you can live off of and you can stand by." "Anytime that you invest in your own business, you are going to invest financially. So all the money that's coming in, a lot of it's gonna go right back out... That's why I always tell people learn about money, learn about budgeting, learn about financing. When you decide to become an entrepreneur in general, get your money straight because you're going to be investing a lot more than you're making in the beginning, in hopes to make that flip such that you're investing little and making a lot of profit." In my experience, after working for two years for this production company, I thought to myself, 'Wow if all the energy i'm putting into this company, what if i put that into my own? What would actually happen?' And the moment I made that decision and quit that job and started doing all that for myself, that's when everything blew up." "The reason that we grow and get along in life is become we learn to bypass ideas and ideals that have been fed to us over generations and generations. I'm not knocking tradition, but in order to progress you have to think differently than you've ever thought before." For new episodes of Maker's Lane all month, follow me for updates. Listen to Jasmine Solano's music here. Watch past episodes of Maker's Lane here.